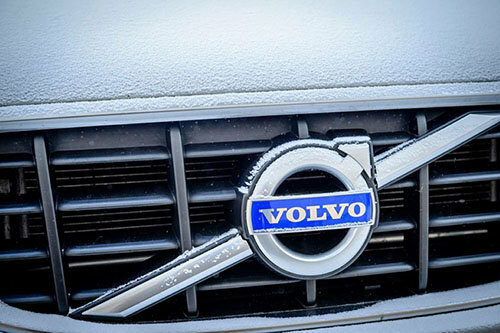 Home > Headlines > News > Why Should I Service My Volvo at a Toronto Dealer? Your vehicle is a big investment. While you may assume it is so, your new car will not take care of itself once you have driven it home for the first time. In order to keep your car, SUV or truck running smoothly, it needs to be maintained by trained professionals. If you have just bought your first Volvo or are a long-time owner, consider getting your vehicle inspected at a Volvo service centre. Volvo Metro West offers vehicle services that focus on providing the best care for your car while creating a positive and personalized experience for every customer. We are committed to offering you the best services that are tailored to your vehicle. Genuine Volvo Parts: Rest assured your car is being repaired with genuine parts that have been specially designed and made to fit your vehicle. We have in-depth knowledge of every make and model at our dealership and only use authentic parts. These parts also come with a lifetime warranty, so your peace of mind can extend into the future. Standard Prices: Don't battle anxieties about being ripped off or misled when it comes to the cost of replacement parts and labour for your tune up or vehicle repairs. Enjoy standard prices and Volvo service specials when you bring your vehicle to Volvo Metro West. Familiar Team: Customers who have purchased their vehicle from our team will enjoy seeing familiar faces. New customers will also enjoy a warm welcome as they get to know our team. All repairs and installations are completed by trained staff who have years of experience with servicing Volvos. Practiced hands and knowledge of different models allow us to provide fast and efficient vehicle maintenance. Guaranteed Quality: Experience also means quality labour is being applied to your vehicle's repair and maintenance requirements. No need to check credentials or online reviews. You can bring your Volvo in with the comfort of knowing that our technicians are properly trained and have the necessary specialized skills to take care of your vehicle. Convenient Services: Visiting a Toronto Volvo dealer means you'll be working with people who are focused on making your appointment a great customer service experience. We offer pick up and drop off arrangements with alternate transportation so that your appointment is as easy to get to as possible. We also have personal service advisors available to answer your questions and explain any uncertainties you have when it comes to your vehicle. Software upgrades, diagnostic tests, and complimentary car washes make the appointment a comprehensive check for your vehicle. Visit the Volvo service centre in Toronto at Volvo Metro West for dedicated work performed by experienced technicians. We are here to answer your questions and provide consistent, quality vehicle maintenance and repairs. With familiarity and experience with Volvo models, we can provide tailored advice and quick repairs to keep you on the road. Come to us with your brand new or pre-owned vehicles and take a look at our Volvo service specials to find a deal for your next appointment. Contact us today to schedule your vehicle appointment and take advantage of Volvo service specials. You can also call 416-231-1984 to speak to our friendly team.